Wallace Township municipal offices are located at 250 Creek Road, Glenmoore PA 19343; phone: 610-942-2880. The township has two resources that appear on the National Register of Historic Places. William Ferguson Farm Marshall Rd, circa 1741; The farmhouse and tenant house are good examples of early architectural styles. William Ferguson, the first owner, had a prosperous farm of 50 acres in 1769, growing to 210 acres by 1771. Edward Hunter, purchased the farm in 1827. He is notable as being one of the founders of the Mormon Church of the Latter Day Saints. The area surrounding the farm has long been referred to by locals as Mormon Hollow. 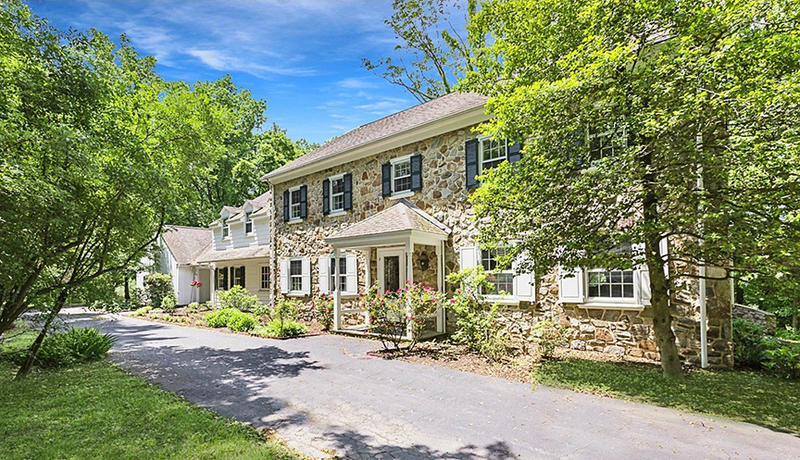 Springton Manor Farm Springton and Creek Roads, circa 1711; This 260 acre northwestern Chester County Agricultural area has been a continuous working farm since records have been maintained in the early 1700s. The metes and bounds today are similar to the original survey of 1742 for Robert McConaghey; he constructed stone fences from the rocky fields to raise crops of rye and corn in the poor soil. Abraham R. McIlvane, a Merino sheep farmer, purchased the farm in the 1830's. Circa 1745 a two-story Georgian style home was built, known as "Rose Cottage."